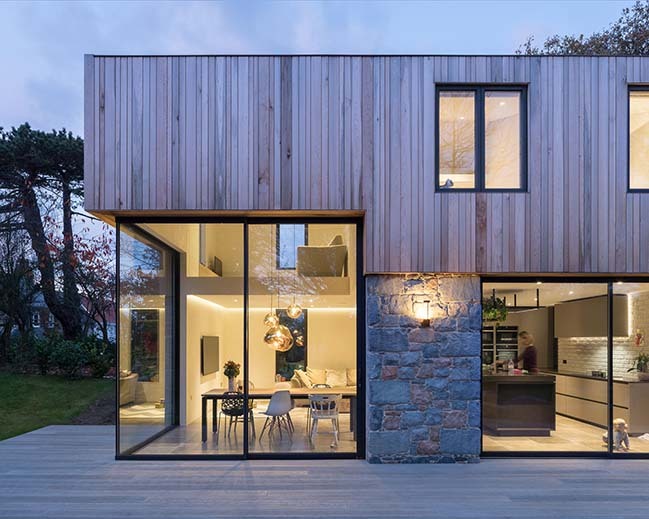 The brief was to create an energy efficient and sustainable new build family home on a densely planted site in St Peter Port, Guernsey. 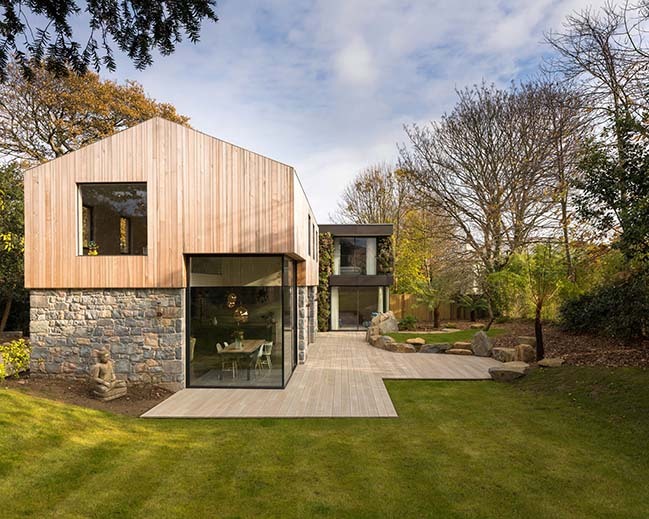 Due to a number of protected trees and the high quality of the natural landscape within an urban setting, the site was heavily restricted by the planning department. 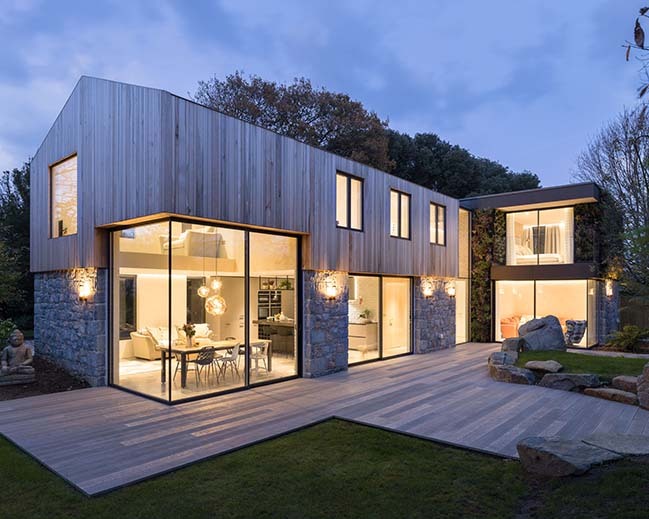 From the architect: The solution was a building designed to minimise overlooking to and from neighbouring properties, maximising natural light and solar gain, whilst avoiding the numerous root protection areas of the surrounding trees and maintaining a proportionate footprint to previous development on the site. 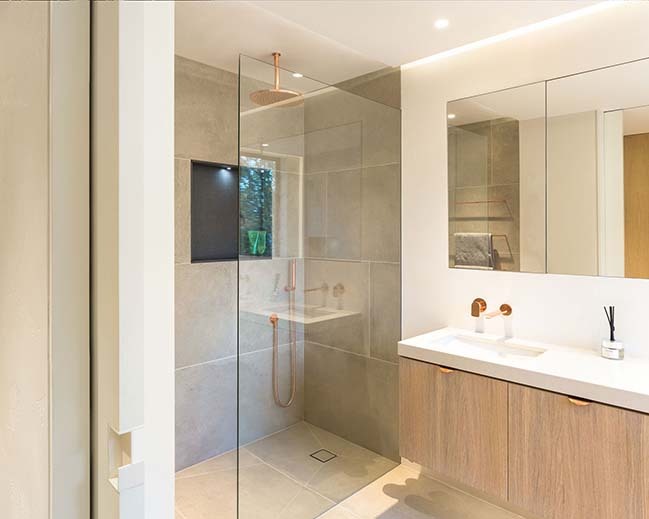 The building is sunk into the topography of the site, within a clearing in the trees, hence the name 'The Glade'. 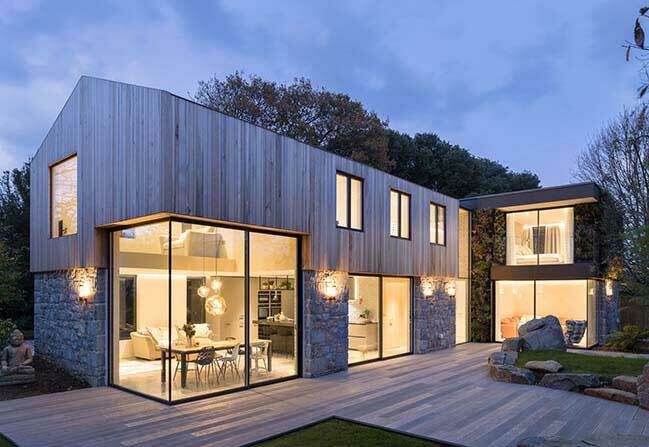 A large basement utilises existing site excavation, with the ground floor enclosed in Guernsey granite sourced on site, with highlights or natural lime render at openings. 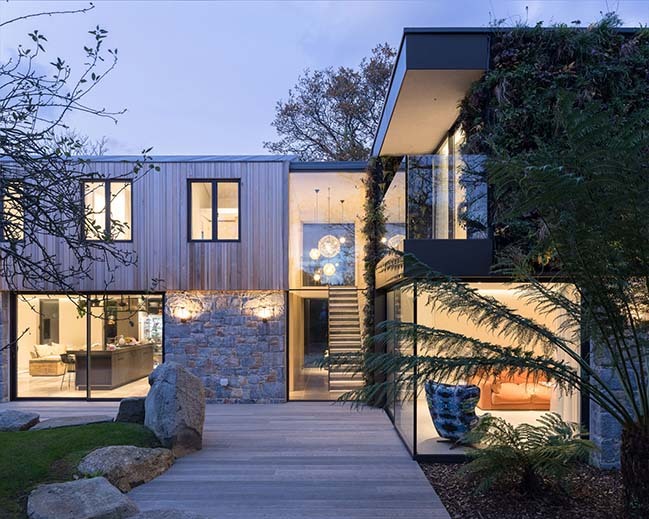 The east side is cantilevered over and entirely clad as a living wall with over 4000 plants, camouflaged in the surrounding tree canopy and providing a thermal, acoustic and pollution buffer. 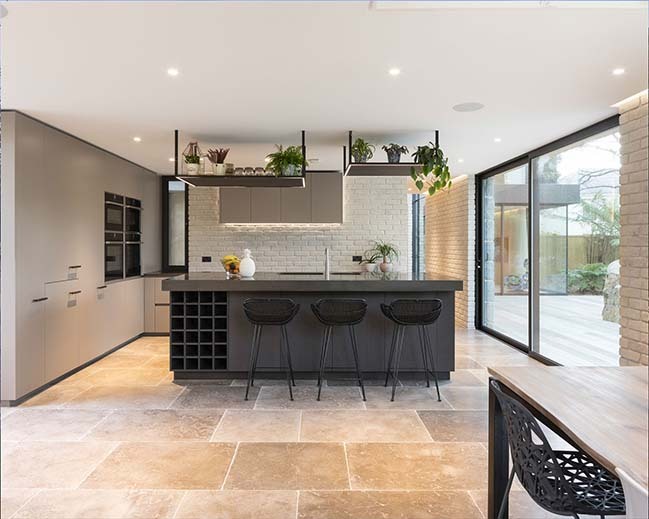 It reflects the character of the overall site; surrounded by high granite walls with mature vegetation above. 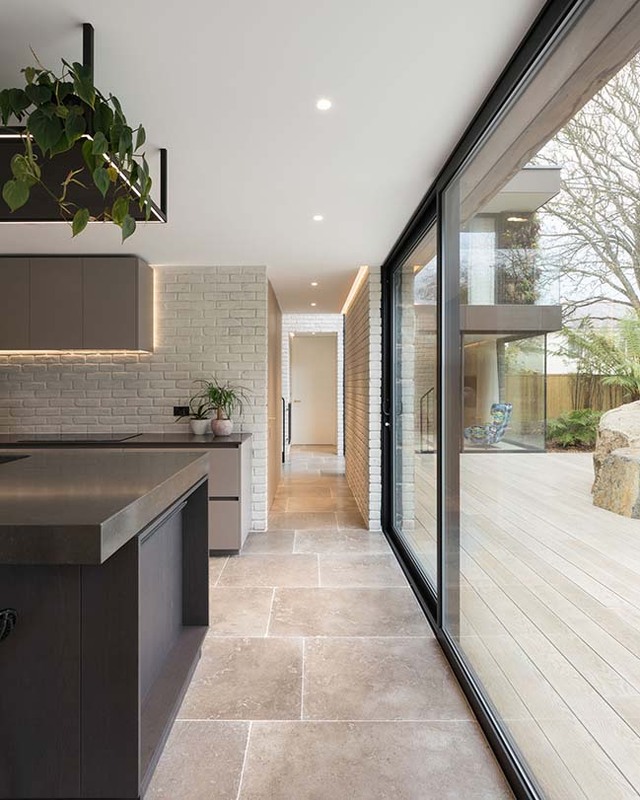 A double height glazed void provides vertical circulation linking the buildings. 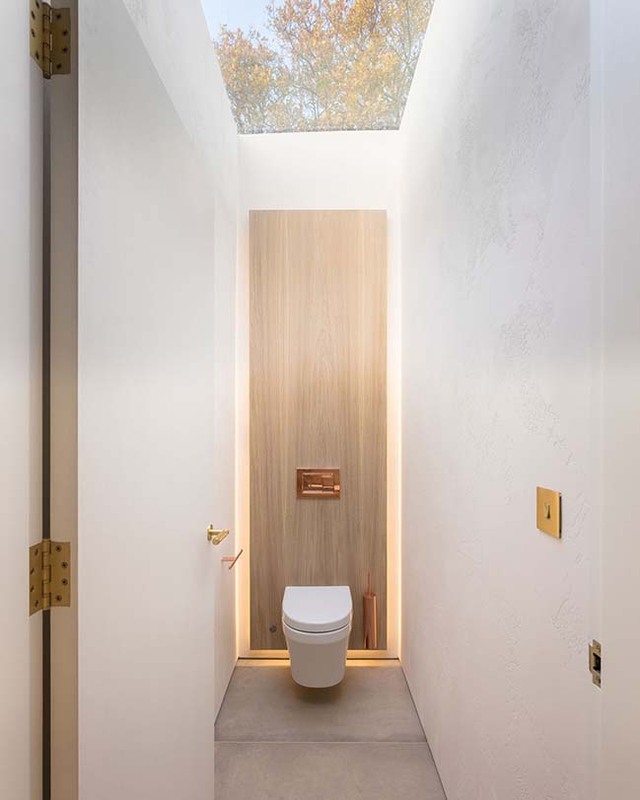 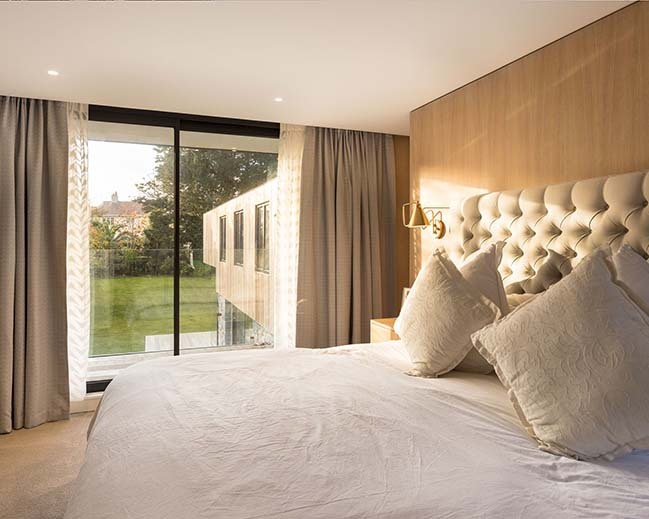 It offers open plan living, with vertical connections and a direct relationship to external spaces, whilst delivering intimate pockets between. 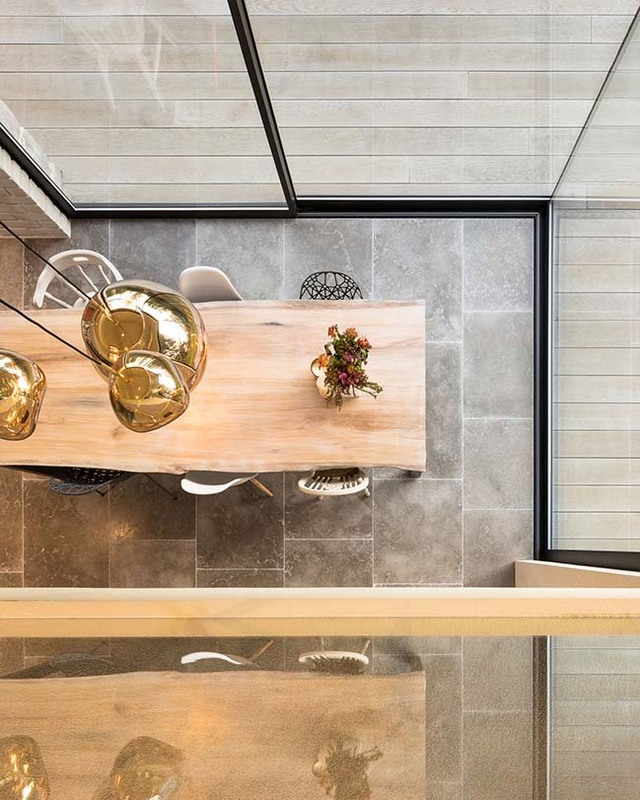 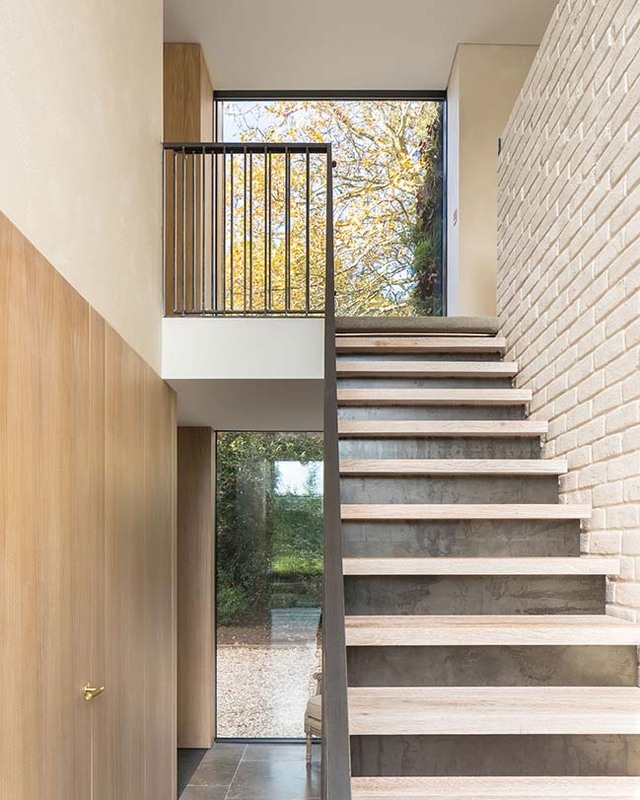 A natural and contrasting pallet has been selected throughout, locally reclaimed brick washed with lime slurry, raw pigment plasters over grey limestone floors, machined brass ironmongery against washed oak joinery, a bespoke raw steel staircase and furnishings. 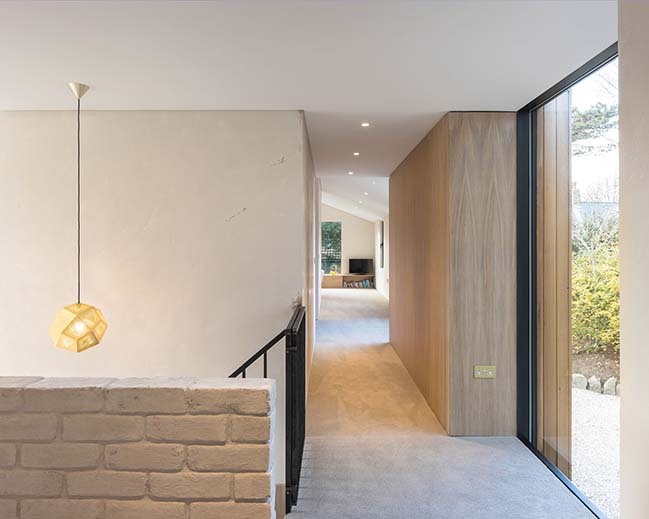 Where possible local materials and fabrication is used to deliver a soft traditional character within a contemporary envelope.